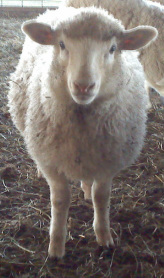 Our crossbred ewes are either..
*Male crossbreds are castrated and sold for meat. We do not encourage the use of crossbred rams in our breeding operation. 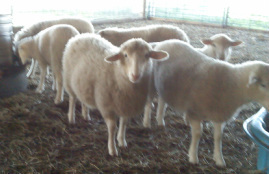 The use of purebred rams enhances the uniformity of the lamb crop and their value. 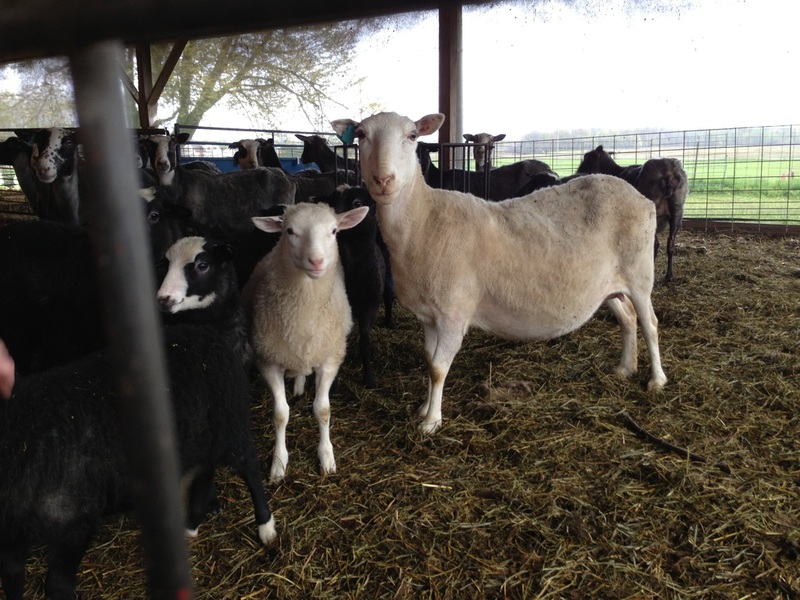 One White & One Black (the black lamb will look more like a Romanov and is in the far corner behind the Ewe). The brood ewe is 1/2 Romanov ; 1/2 Horned Dorset, while the lambs are 3/4 Romanov ; 1/4 Horned Dorset. The pen next to them is pure Romanov.